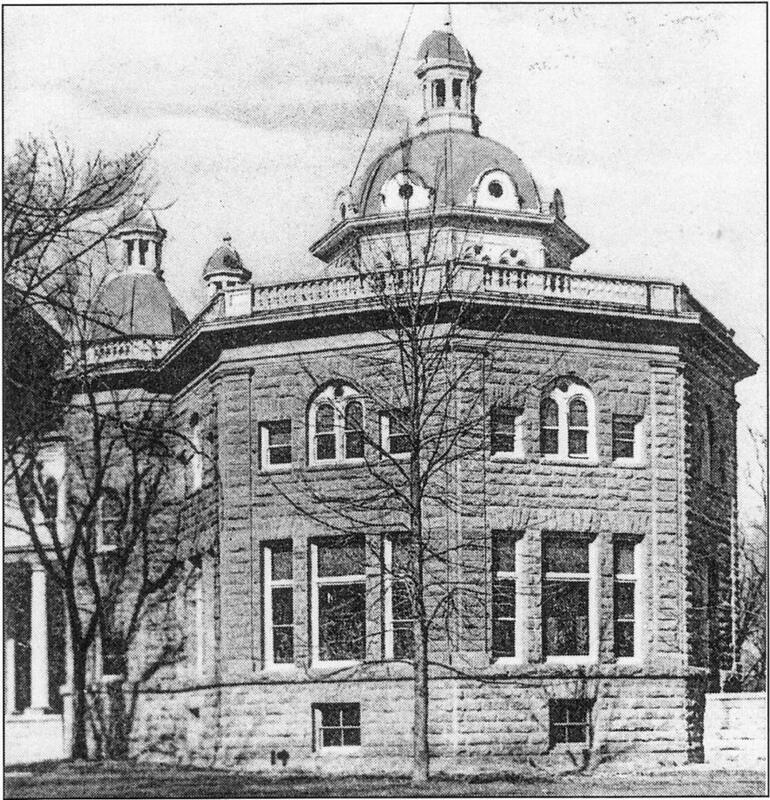 The State Capitol Annex was built in 1906, just behind (to the east of) the Capitol Building. 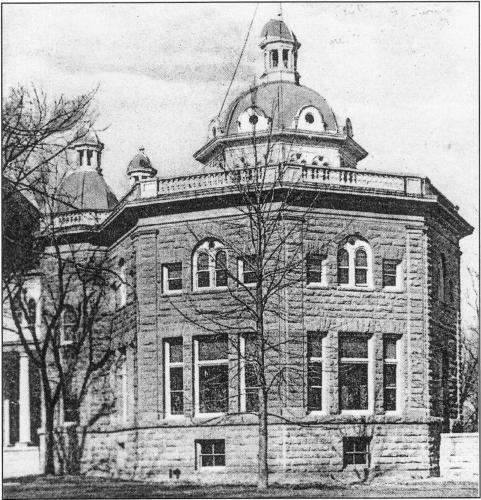 At one time the octagonal building housed the State Library. Source Caption: The Annex building was completed in 1906. Its west wall was only 25 feet from the State Capitol. 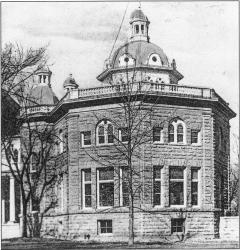 The Nevada State Library remained in the annex until it outgrew it in 1936. Since then a number of state agencies have occupied the space.